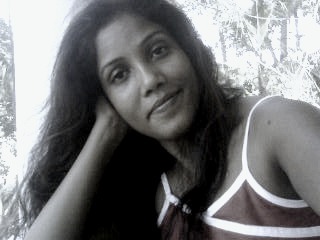 Last week, Kamala, my 65 year old neighbor, was hospitalized after she had sudden dizziness and showed signs of amnesia. An MRI scan revealed that Kamala had 4 blood clots on the left side of her brain. This surprised everyone around Kamala; nobody could recall her having a fall or a collision – the normal cause of a head injury. The doctors however had a different explanation: Kamala had acute anemia. A widow with no land or other valuable assets, Kamala was earlier a daily wage earner in a village for 20 years. For those twenty years, her daily diet was just a plate of rice and a spoon of yoghurt. With extremely low nutrition level, Kamala soon developed anemia and has been suffering from it since then. Kamala represents the vast population of Indian women - over 53% to be precise, who are malnourished and suffer from related ailments such as low blood pressure and anemia. This shocking fact was revealed when the United Nations Development Program (UNDP) released the India Human Development Report 2011, 3 months ago. According to the report, 55.3% of women aged 15-49 years suffer from anemia. In some northern Indian states like Bihar and Uttar Pradesh, the percentage is nearly 60%. As feared by many, there are more malnourished and anemic women in marginalized communities than in other groups. Poor nutrition and health in women has resulted in poor health in infants. The Human Development Report states, ‘A staggering 21.5% of babies in India are born with low birth weight, a problem that begins in the womb.’ Little wonder that India now has the largest number of malnourished children in the world. This contrasts sharply with India’s performance in the economic sector. As per the Economic Outlook for 2011-12, released by the government of India in August 2011, India’s GDP growth rate for 2011-12 is 8.2% as compared to 8.5% registered last year. The high GDP growth makes India the second fastest growing major economy in the world and an emerging superpower. The root cause of this continued malnutrition is not a sharp decline in food production either. According to the records of the Indian Agriculture Ministry, India’s current yearly food grain production is at 218 million tons, and is poised to cross 250 million tons by the end of 2012. Clearly, malnutrition and poor health among women are directly linked to gender discrimination. Law makers must address this issue while giving women a legal right to access sufficient food and nutrition. In December 2011, India introduced a draft law called the National Food Security Bill, which aims to provide cheaper food grains to the poor - estimated to be 63.5% of India's population. However, even this bill fails to answer the crucial question: what are the constituents of a nutritious diet? Without this being explained first, even if all the women of India get sufficient food, their nutrition intake will continue to be low. It is, therefore, time for the government to show utmost seriousness in eradicating the twin evils of female malnutrition and gender discrimination in food distribution. To begin with, the government must expedite the public and political consultation on the National Food Security Bill, amend it accordingly and assess the nutrients provided to the beneficiaries before activating it. The current lackadaisical and ‘business as usual’ attitude will only worsen the situation, thus adding to the shame of a country that maintains over 8% GDP despite a global recession, but deprives half its female population of nourishment.